This is night (evening really) in a swamp. Critters come out and the sounds get loud. 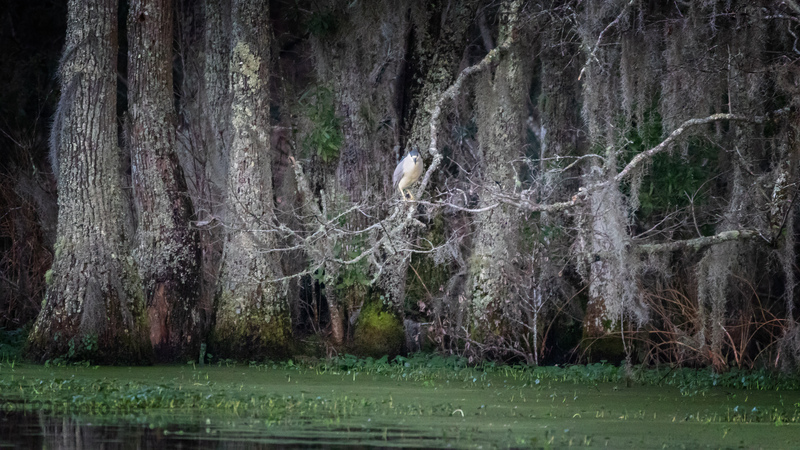 Above is a Yellow-crowned Night Heron coming out to hunt. Sitting in the Cypress trees he can see all around and still be safe from…you know who.